The Funkwerks Deceit is a very good beer. It’s palatable and easy to drink while having a high 8.5% ABV. This is not always easy to do, hence the name ‘deceit’ as the average drinker would never guess the strength of this beer. I chose this beer hoping for something similar to a classic Belgian Golden Ale like a Duvel and while it didn’t turn out exactly how I expected it was a pleasant surprise. This beer drinks more like a hybrid between a Belgian Golden and a Belgian Trippel, with that crisp initial bite followed by a soft, sweeter finish. My only complaint is that sitting in the middle of these styles, it was fairly mild on both ends of the spectrum. As explained above we understand the name of the beer, but it’s not our favorite. When purchasing beer, we want to know what we are getting and never really want to be deceived. 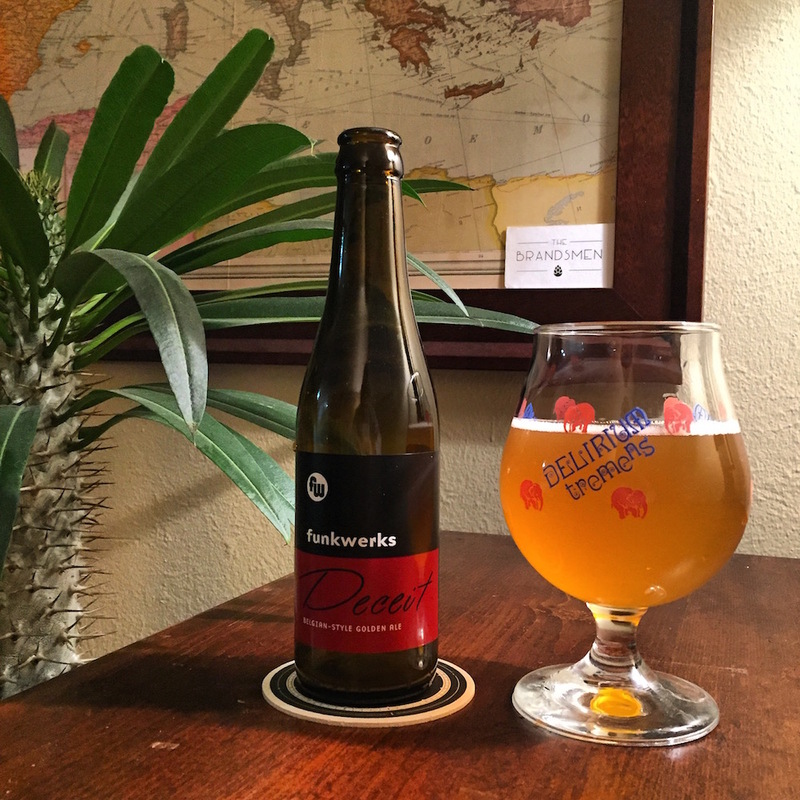 The packaging and label design of this beer are consistent with the Funkwerks brand, but fairly boring from a consumer point of view. If not for Funkwerks solid reputation and my personal desire to purchase a Belgian-Style Golden Ale, this beer would not have stood out and caught my eye based on packaging alone.